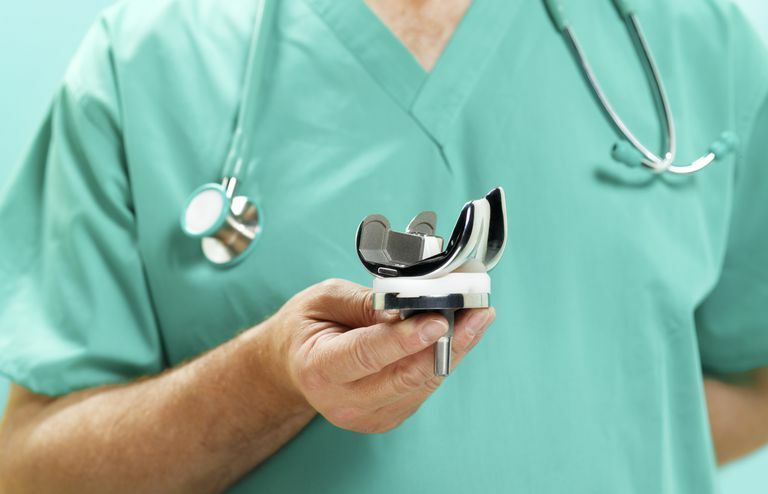 Total knee replacement surgery has long been used to treat severe arthritis in elderly patients. However, concerns arise when a patient in their 40s or 50s has severe knee arthritis that is not relieved with simpler, non-surgical treatments. Once reserved for elderly patients, total knee replacement surgery is becoming more common in the younger, active population. However, there are concerns about performing this procedure in such young patients. No one can definitively answer this question, but what we do know is that the benefits of performing total knee replacement surgery in younger patients may outweigh the risks of surgery. The benefits are primarily quality of life, pain reduction, and maintaining proper fitness. By accomplishing these goals, patients may also reduce the risk of developing other problems associated with poor fitness such as cardiovascular disease. The primary risk of performing total knee replacement surgery in younger patients is the concern of wearing out the implant. Developments in manufacturing have sought to reduce the magnitude of this problem, but it is a concern. Furthermore, the amount of wear to a knee joint replacement does appear to be related to the amount of activity. Therefore, young patients with joint replacements should be cautious and perform only suggested activities (see below). These lists are meant to give patients an idea of what to expect if they undergo knee replacement surgery. Before you begin a new exercise program, it is important that you discuss this with your doctor. If there is an activity you do not see listed, and you are curious about your participation, ask your doctor. Numerous studies have evaluated patients considered to be young to have a knee replacement. The average age of having a knee replacement in the United States is right around 65 years old. Generally, surgeons consider anyone under the age of 50 to be 'young' for the purposes of having a knee replacement. Interestingly, this segment of the population--under 50 year-old patients--is the fastest growing segment of people having knee replacement surgery. The studies of these patients have found very good results. Better than 85% of people having knee replacement in this age group consider their results to be good, and the complication rate remains low. More than 98% of the knee replacements placed in this patient age group were still functioning 10 years after surgery. As with any surgical procedure, there are risks related to having knee replacement surgery. As mentioned, the primary concern in the younger, more active population is early wearing out of the knee replacement implants. However, there are also other risks of knee replacement that people considering the procedure should be aware of. Among these other concerns are an infection, stiffness, and blood clot. Knee replacement surgery is a major surgical procedure, and has some serious possible risks associated with surgery. Anyone considering this surgical procedure, regardless of age, should try a physician-supervised trial of nonsurgical treatments before undergoing a knee replacement. However, when all else has been tried, and a young patient has severe arthritis, a knee replacement can be an effect means to maintain both physical health and mental health. By giving patients pain relief and improved function, people often are happier and healthier, even when having knee replacement at a young age. Aujla RS, Esler CN. Total Knee Arthroplasty for Osteoarthritis in Patients Less Than Fifty-Five Years of Age: A Systematic Review. J Arthroplasty. 2017 Aug;32(8):2598-2603.e1.